Back in the Summer of 1974 bar patrons in the Northeastern United States began playing a practical joke on their friends know as the the Great Tom Collins Hoax of 1874 As the gag went, one friend would ask another if he knew Tom Collins. Mr. Collins, being the quite the scoundrel, was at that moment at a bar nearby disparaging his good name. The friend would run off to the bar in question, but unfortunately Tom Collins would already had already left for yet another bar. This would continue from bar to bar, Tom Collins always one step ahead and the victims friends laughing and drinking in tow. How did a hoax become turn into a classic drink recipe? With so many people running into bars and asking for “Tom Collins”, it wasn’t long before bartenders would serve the inquirer a nice tall “Tom Collins”. 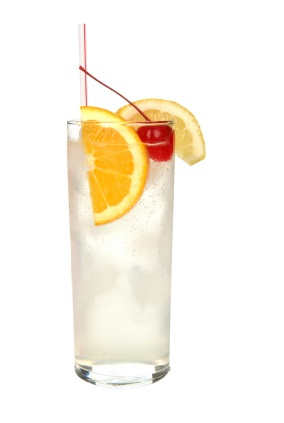 A few years later, the Tom Collins surfaced in Jerry Thomas’ iconic book “The Bartender’s Guide – How Mix Drinks or The Bon Vivant’s Companion”. I’m thinking the whole thing was old timey excuse for a bar crawl, possibly set up by the bars themselves? So which was it? We may never know, but do we care? Fill a collins glass 3/4 with ice. Build in the glass, gin, simple syrup, lemon juice. 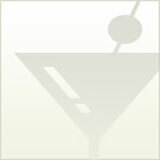 (Note: do not use any sort of “Collins” mix, just don do it. Make some simple sugar and juice some lemons. It is 10 minutes well spent!). Stir to combine. Fill with soda. Garnish with a cherry and a lemon slice.